Magnificent Sunrises and Sunsets. 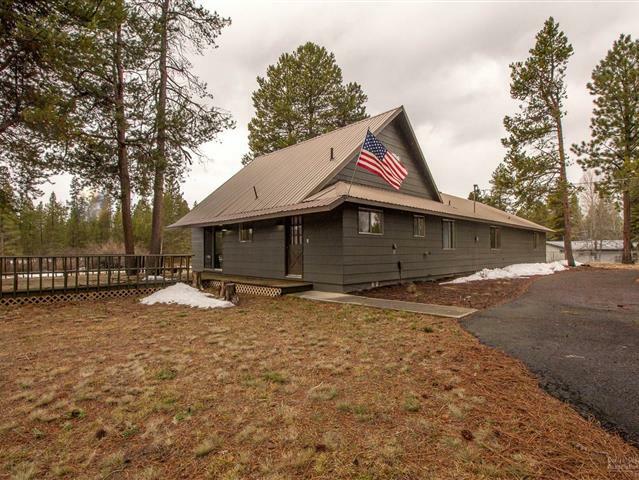 Bring your imagination for this Big Deschutes Riverfront property. Home is on two lots on the river with an adjoining vacant lot. 3 lots total with a vintage 3 bedroom 1.5 bath home. Large deck overlooking the river and a deeded boat dock. Property is fenced. Screened sun porch to relax and enjoy the river and the wildlife. Fish from the dock or the deck or float the river. Live the life you love. Just minutes from Sunriver. Never on the market, Come see it today!